Social address: Rúa Estrada de Bueu 110, 36945, Aldán, Cangas de Morrazo, Pontevedra, Galicia. All notifications and communications between users and APARTAMENTOS RÍA DE ALDÁN will be considered effective, for all purposes, when they are made through postal mail or any other of the means listed above. APARTAMENTOS RÍA DE ALDÁN reserves the right to modify this Policy in order to adapt it to new legislation, jurisprudential criteria, sector practices or the interests of the entity. Any modification in it will be announced with due notice, so that you have perfect knowledge of its content. This legal notice regulates the use of the website www.apartamentosriadealdan.com (hereinafter the website), owned by Manuel Millán Otero. Navigation through the APARTAMENTOS RÍA DE ALDÁN website attributes the condition of user of the same and implies full and unreserved acceptance of each and every one of the provisions included in this Legal Notice, which may be modified. The website and its services are freely accessible, however, APARTAMENTOS RÍA DE ALDÁN conditions the use of some of the services offered on its website to the prior completion of the corresponding form. The contents of the website, such as texts, photographs, graphics and images, constitute a work owned by APARTAMENTOS RÍA DE ALDÁN, without any of the exploitation rights over them being understood to have been transferred to the user beyond what is strictly necessary for the correct use of the website. The user guarantees the authenticity and up-to-dateness of all data communicated to APARTAMENTOS RÍA DE ALDÁN and will be solely responsible for any false or inaccurate statements made. The user undertakes to make correct use of the website in accordance with the law, good faith, public order, the uses of traffic and this Legal Notice. The user shall be liable to APARTAMENTOS RÍA DE ALDÁN or to third parties for any damages that may be caused as a result of the breach of this obligation. APARTAMENTOS RÍA DE ALDÁN is not responsible for the content of the web pages that the user may access through the links established on its website and declares that under no circumstances will it examine or exercise any type of control over the content of other web pages. Likewise, it will not guarantee the technical availability, accuracy, veracity, validity or legality of pages outside its property that can be accessed through the links. 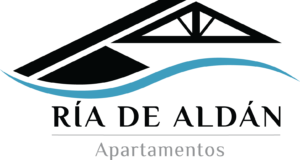 APARTAMENTOS RÍA DE ALDÁN declares that it has adopted all the necessary measures to avoid any damage that, to the users of its website, may derive from browsing its website. Consequently, APARTAMENTOS RÍA DE ALDÁN is not responsible, in any case, for any damage that the user may suffer as a result of surfing the Internet. However, in order to access the APARTAMENTOS RÍA DE ALDÁN website, it is not necessary to install cookies. APARTAMENTOS RÍA DE ALDÁN has adopted in its information system the technical and organisational measures legally required to guarantee the security and confidentiality of the stored data, thus avoiding, as far as possible, its alteration, loss, treatment or unauthorised access. By sending the aforementioned forms, the user authorises the sending of information and commercial communications by post, e-mail or fax regarding the products and services of APARTAMENTOS RÍA DE ALDÁN. the provisions of Law 15/1999, of December 13, Protection of Personal Data. The user may revoke the consent given and exercise the rights of access, rectification, cancellation and opposition by writing to APARTAMENTOS RÍA DE ALDÁN, at the following address RÚA ESTRADA DE BUEU 110, 36945, ALDÁN, CANGAS DE MORRAZO, PONTEVEDRA (GALICIA), or via the following e-mail apartamentosriadealdan@gmail.com, duly identifying themselves by means of a photocopy of their DNI and indicating in a visible way the concrete right that is exercised. APARTAMENTOS RÍA DE ALDÁN adopts the corresponding security levels required by the aforementioned Organic Law 15/1999 and other applicable regulations. However, RÍA DE ALDÁN does not assume any responsibility for damages derived from alterations that third parties may cause in the user’s computer systems, electronic documents or files.